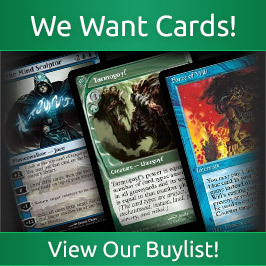 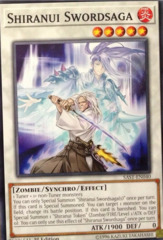 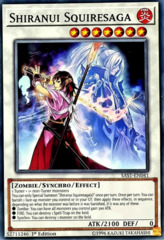 Card Text: If another Zombie monster is Special Summoned from your GY, while this monster is on the field (except during the Damage Step): You can draw 1 card, then discard 1 card. 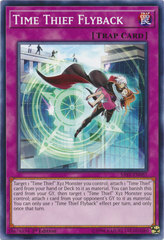 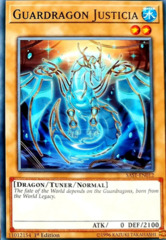 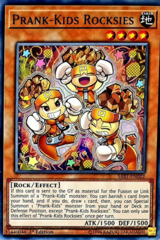 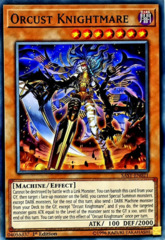 If this card is banished from the GY to activate a card effect, or by a card effect: You can Special Summon this card, but banish it when it leaves the field. 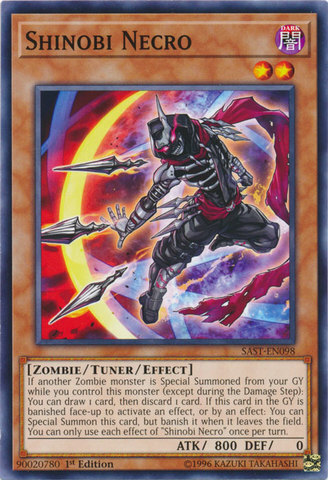 You can only use each effect of "Shinobi Necro" once per turn.